SAO PAULO, Brazil – Unbeaten, WBC #18-rated prospect Michael “The Brazilian Rocky” Oliveira (14-0, 11 KOs), a 21-year-old Brazilian native fighting out of Miami, weighed in today at 159 ½ pounds for tomorrow night’s (Sat., July 16) WBC Latino Middleweight title fight at Credicard Hall in Sao Paulo. Oliveira’s opponent in the 10-round main event on the MO Productions-presented “Sao Paulo Fight Night” pro-am card, Jose “Minguito” Soto (24-7-2, 13 KOs), also tipped the scales at 159 1/2 pounds. Michael“The Brazilian Rocky” Oliveira (14-0, 11 KOs), Miami, FL 159 ½ LBS. Jose“Minguito” Soto (24-7-2, 13 KOs), Las Vega, Dominican Republic 159 ½ LBS. Jack Welson Oliveira (14-6, 12 KOs), Sao Paulo, Brazil 153 ¼ lbs. Douglas Ataide (1-0, 0 KOs), Sao Paulo, Brazil 154 lbs. SPECIAL GUESTS: Hall of Famer Eder Jofre and former world light heavyweight champion Glen Johnson. 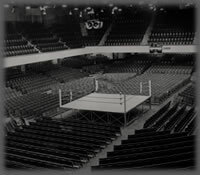 INFORMATION: Doors open at 6:30 PM/GMT (7:30 PM/ET), first bout at 7:30 PM/GMT (8:30 PM/ET), main event at 9:00 PM/GMT (10:00 PM ET/PM).